I love soap bars, so much in fact that I want to test all the natural soap bars I come across. I normally use Faith in Nature natural soap bars but I still like to try other brands to see how they compare. 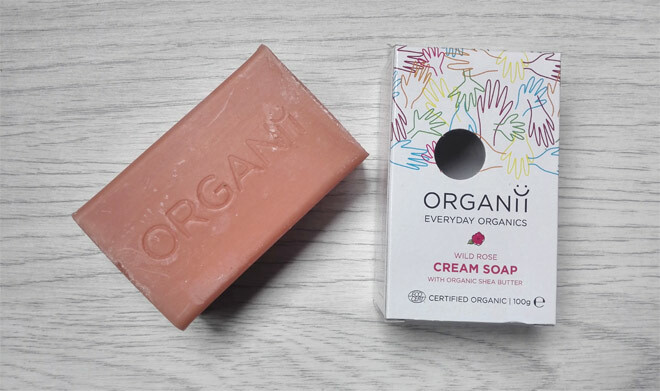 So in the past few months I’ve been testing natural and organic soap bars from Organii. 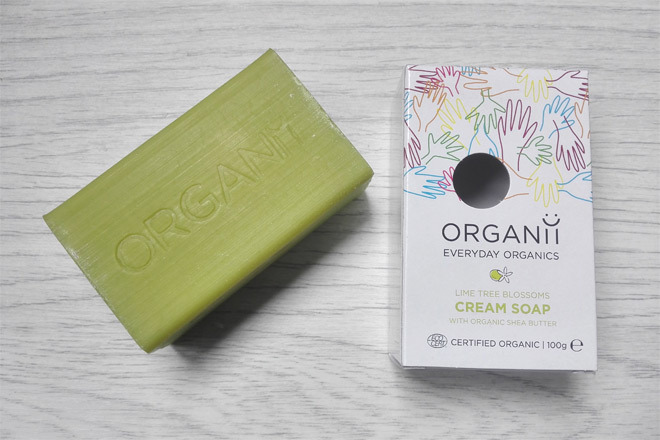 These soaps are certified organic by Ecocert and they are also vegan (they carry the official vegan logo). Organii pride themselves in offering an affordable natural and certified organic skincare products suitable for the whole family. Their natural bar soaps are indeed really affordable – for one of their soaps you will pay £2.65 which is a reasonable price for a 100g organic soap bar. Comparing this to Faith in Nature soaps, the price is slightly more, but Faith in Nature soaps are not certified organic. 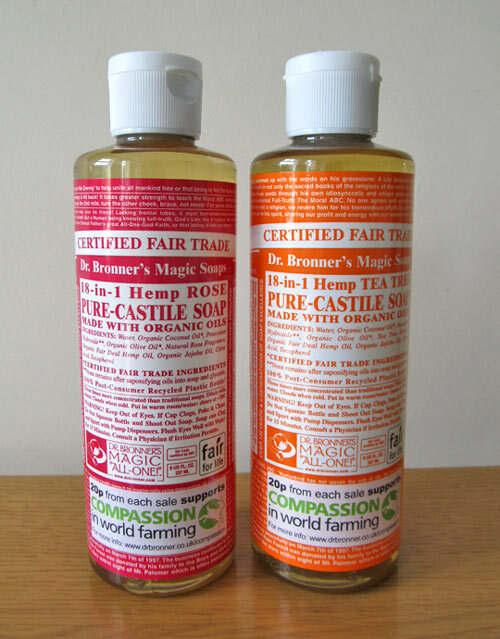 I found these organic soaps really good value for money because they last so long. They are not like some other natural soaps which get used up really quickly. I think that’s because they are really solid and not soft at all (probably because they’ve been left to dry naturally for two weeks). They foam extremely well and you don’t need to do much rubbing with your sponge in order to get enough product out to wash your whole body. Another positive thing about these soap bars is that they don’t make your skin dry. Each of them actually contains glycerin which is well-known for its moisturising properties. The lather you get is rich and creamy leaving your skin nice and soft. I’ve been actually complimented by my fiance on how lovely and soft my skin felt after the shower. Cool, eh? I cannot actually decide which Organii soap bar is my favourite. I found them all lovely with subtle scents which don’t fade once you’ve been using the soap bar for a while. 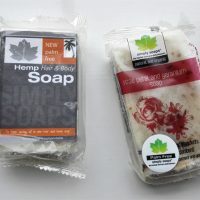 Just to mention that all these soap bars contain palm oil but before you dismiss them quickly, they are made with certified sustainable Palm Kernelate. If you prefer using palm-free natural soaps then check a review of these soap bars here. 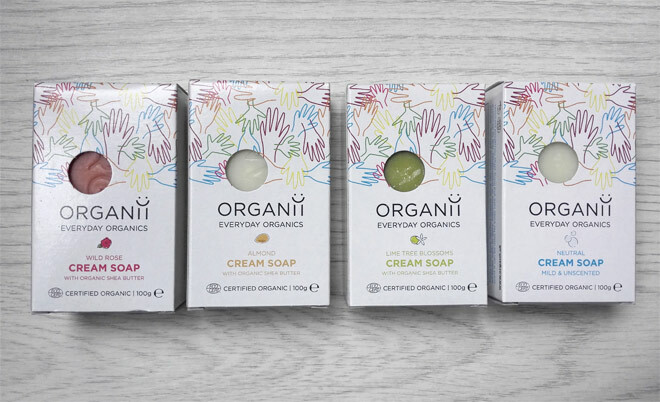 I would personally prefer if Organii didn’t add any colourants to these soaps but I understand why they decided to do that – it’s just an estethics in my opinion. If you would like to try these organic soaps then you can get them from LoveLula with free worldwide delivery (orders over £10). If you haven’t shopped at LoveLula before, then you can also get a 15% off discount, just go to this page to get your offer and a free gift. * This post contains affiliate links – if you purchase a product after clicking on a link I get a small commission which helps me run this website. This does not cost you anything.